A new Half Marathon PB! Wow – that was a tough race. I have never ran so many hills before in my life. 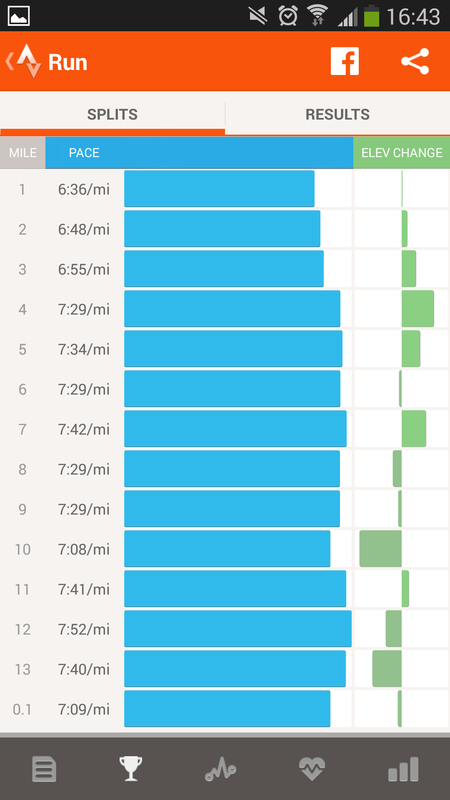 You can see the elevation in the below picture with my mile splits. I started off really well, hitting a 21 minute 5k and to be honest I was feeling really good at this point. Then my headphones stopped working. Not a big problem, but the music helps me to keep my cadence at 180bpm when my mind wanders throughout a race. Still – worse things could happen. Towards the half way mark I started to struggle. The hill climbs weren’t too bad. I’m used to them. Running downhill was started to take its toll on my quads. I could feel the ache throughout each downhill segment. I had one approx. target in my head for the race. I wanted to hit the 10 mile mark on roughly 71 minutes. I was about 600m off that point which was not too bad considering there were some long downhill stretches to come. But again, they were wiping my quads out. After mile 12 it was a downhill sprint which flattened towards the finish. But I was spent, with no energy left to sprint the final hundred metres. Despite the negatives above, I ran a PB and was incredibly pleased with my time. I also had a bit of a stomach bug so perhaps I could shave a little more off on another day. You might notice I have replaced my strained, agonizing expression for a smiley face. 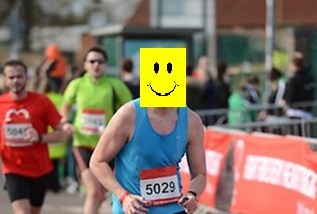 It would be nice if I could cross a finish line that smiley. But I can’t. It not physically possible! Do you have a favourite post run treat? How photogenic are you race pictures? Well done! 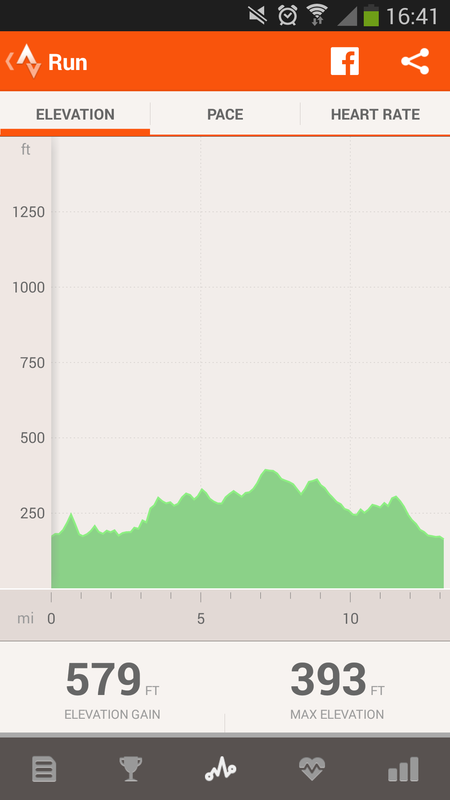 That’s a great time for a hilly course. Hope your quads are recovering!